Neuromonics, Inc. is engaging Diana Barreneche, Au.D., and Barbara Jenkins, Au.D., to help train clinicians on the cloud-based version of the Neuromonics Tinnitus Treatment (NTT), the OasisPro. Only trained and approved audiologists will be authorized to fit the new OasisPro, which deploys the NTT on a patient’s iPad or iPhone. Barreneche and Jenkins will provide full clinical support to audiologists in fitting their tinnitus patients to ensure a successful outcome with the NTT. 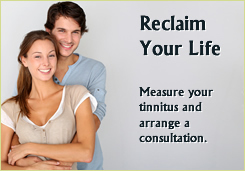 The clinically and research-proven NTT has an 83 percent success rate for those suffering from ringing in the ears. Barreneche, who also holds a Certificate of Clinical Competency in Audiology from the American Speech-Language-Hearing Association (ASHA) and is an ASHA fellow, is an audiologist and lecturer with Cognitive Hearing Sciences in Boca Raton, Florida. One of the first doctors trained in the Neuromonics Tinnitus Treatment, her grant-based research has focused on tinnitus diagnosis and sound therapy treatments, including the NTT. Jenkins, who is Board Certified in Audiology (American Board of Audiology), is Colorado’s first board-certified Doctor of Audiology. 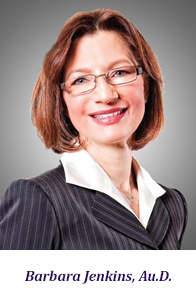 She has more than 25 years of hospital and clinical experience in the evaluation and treatment of tinnitus, is a fellow of the Tinnitus Practitioner’s Association and a contributing editor to Hearing Health Magazine. Jenkins is an adjunct professor at Rocky Vista University College of Osteopathic Medicine (Parker, Colorado), where she trains future physicians on the importance of hearing and tinnitus care. Based in Westminster, Colo., Neuromonics, Inc., manufactures and distributes clinically proven medical devices to treat tinnitus. The patented and clinically proven Neuromonics Oasis™ provides long-term treatment and significant relief for those with severe tinnitus. With research and development beginning in the early 1990s, Neuromonics has helped thousands of tinnitus sufferers improve their quality of life and overcome the daily life challenges associated with tinnitus. Today, Neuromonics provides its devices to nearly 2,000 hearing professionals on four continents, through direct relationships and reseller partners. Neuromonics has been featured in the national media, including segments on “The Doctors” and CNN. Individuals suffering from ringing in the ears now can receive the patented and clinically proven Neuromonics Tinnitus Treatment (NTT) using an iOS-enabled device and cloud-based system. The proprietary OasisPro system is easy to use and more affordable than other tinnitus treatments, according to Eula Adams, CEO of Neuromonics. The OasisPro deploys the company’s existing technology on a patient’s iPad or iPhone in a clinician’s office, rather than on Neuromonic’s Oasis-specific device. The OasisPro retains all the features and functionality of the Oasis device, says Adams. Neuromonics will continue to sell the existing Oasis device. The OasisPro uses a proven, effective treatment protocol. Consumers listen to spectrally modified music designed to retrain the brain to ignore the ringing sounds and stop reacting negatively to them. With research and development beginning in the early 1990s, Neuromonics has helped thousands of tinnitus sufferers improve their quality of life and overcome the daily life challenges associated with tinnitus. The NTT uses music – programmed for each patient’s individual audiological profile – to deliver a neural stimulus that targets the brain’s auditory pathways. The NTT targets the neurological processes of tinnitus: its audiological, attention-based and emotional aspects.